During lunch break, the information desk is not occupied from 12:15 - 13:15. Use the self-check-out terminal in the library designated for this purpose. A terminal in the entrance area of the library as well as step-by-step tutorials are available for checking out the media. You will need your library card or the card/ID of the University of Liechtenstein. 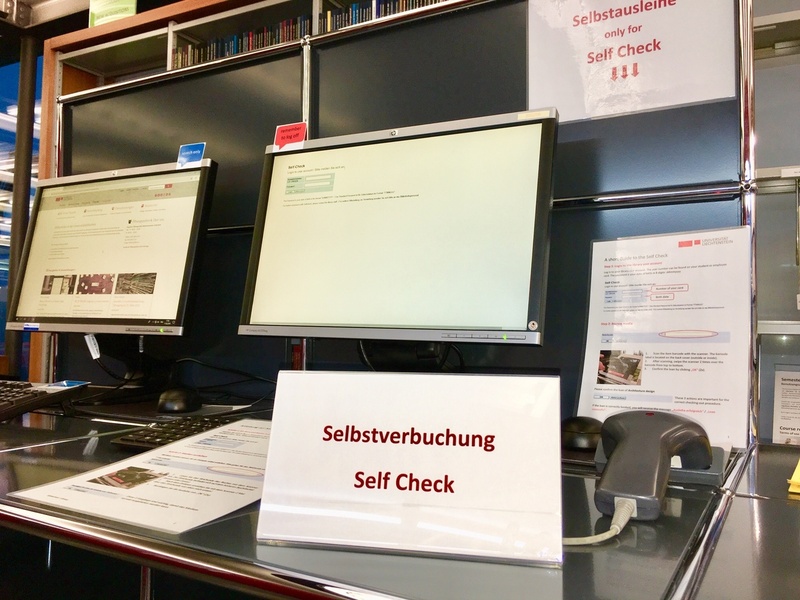 If self-checking out does not work or if you have problems with self-booking, contact the library staff at the information desk or inform us by e-mail library@uni.li which media you have taken with you. Attention! Books from the reference holdings (red label " Präsenz") and from the temporary reserve collection (Semesterapparat) may not be borrowed under any circumstances.